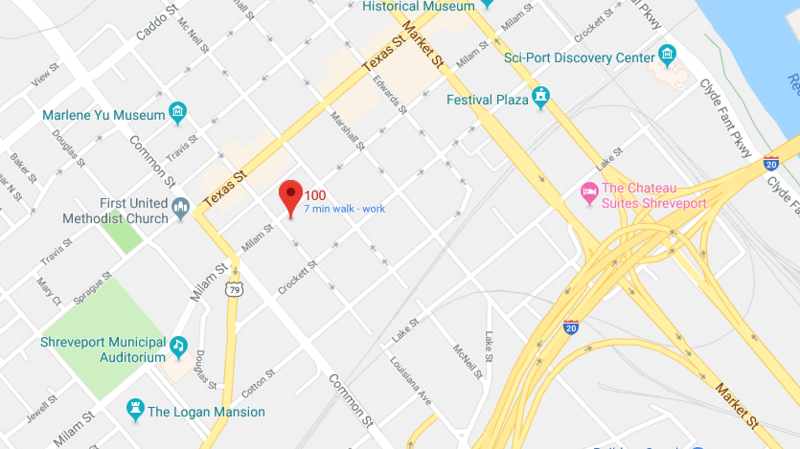 Law Offices of Elton B. Richey, Jr.
Our office is located on the first floor of the Stephenson Building at the corner of Milam Street and Louisiana Street. There is ample on-street parking and two handicap parking spaces directly in front of the building. Most of the meters are 2 hour meters.